Humana Integrated Health System Sciences Institute is structured with five Humana endowed chairs in UH’s five health professions colleges to partner with Humana on cutting-edge projects that will have a measurable impact on health education and population health. A panel discussion focused on the future of inter-professional education, social determinants of health, and value in health care featured (L-R) F. Lamar Pritchard, dean of the UH College of Pharmacy; Kathryn Tart, founding dean of the UH College of Nursing; Dr. Stephen Spann, founding dean of the UH College of Medicine and Dr. Worthe Holt, Humana vice president, Office of the Chief Medical Officer. 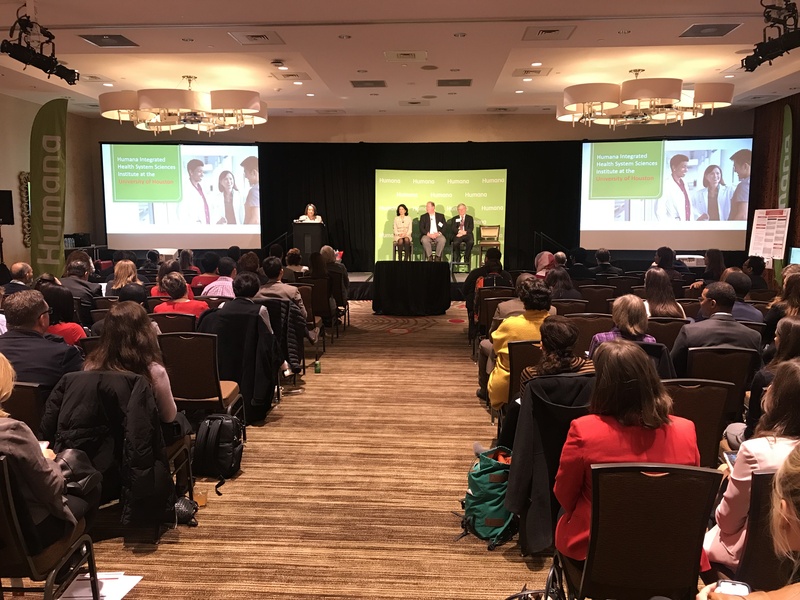 Humana and the University of Houston recently teamed up to officially launch the new Humana Integrated Health System Sciences Institute at the University of Houston. The Humana Institute is designed to unite the existing UH colleges of nursing, pharmacy, social work and optometry with the university’s new College of Medicine. Humana previously announced how its $15 million gift will help defray start-up and operational costs for the College of Medicine, as well as fund endowed chairs for each of the five health colleges. “Health care isn’t a solo sport, it’s a team sport. An integrated team approach where doctors, nurses, pharmacists, social workers and more are all working together for the patient will increase the value of health care. We must also address major health disparities that exist today while recognizing the importance of social determinants of health,” said Dr. Stephen Spann, vice president for medical affairs and founding dean of UH College of Medicine. Launching the Humana Integrated Health System Sciences Institute at the University of Houston marks a critical milestone in the strategic relationship between UH and Humana. The new institute is structured with five Humana endowed chairs in UH’s five health professions colleges to partner with Humana on cutting-edge projects that will have a measurable impact on health education and population health. 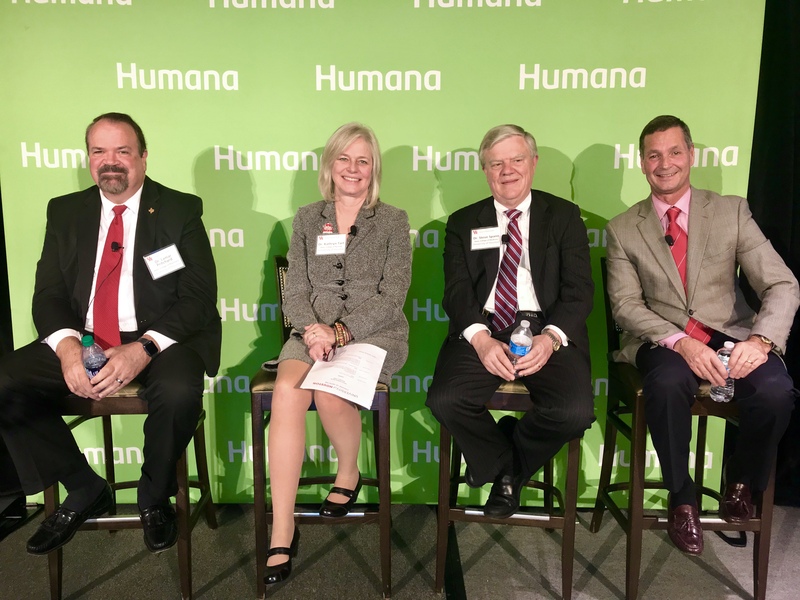 At the Humana Institute’s launch event, Dr. Spann spoke to how the new school will address the challenges of medication non-adherence and the high costs associated with it. He also cited the importance of taking learnings to the next level and Humana’s “state-of-the-art approach to primary care” that can be leveraged to improve quality of life and health care outcomes. Representatives from both organizations also emphasized how data transparency and interoperability will be critical areas of development, as well as how technology can drive preventive medicine.